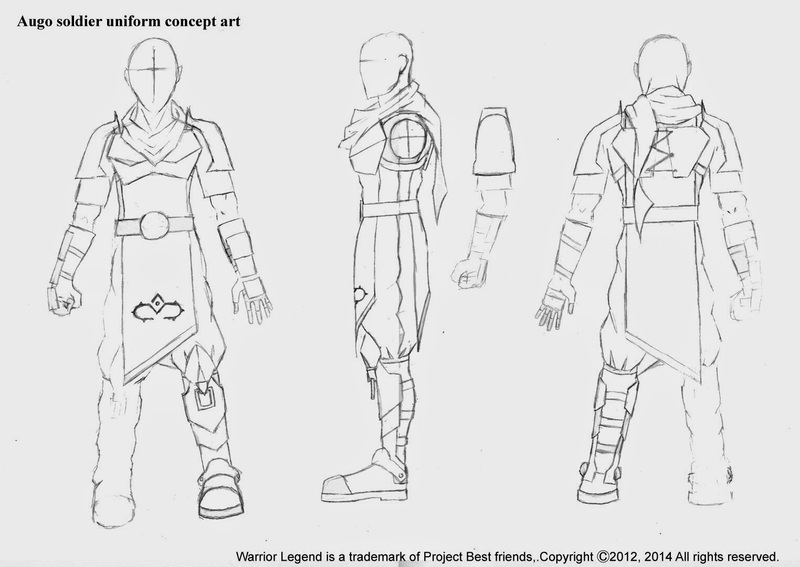 Here is the design for the Augo soldier uniform, this design was created at the same time Ozias was. Ozias has a little different touch to his outfit as you can see in his concept. The reason he has that difference is because of whats happens in the the story later on, to begin with Ozias will wear this design.